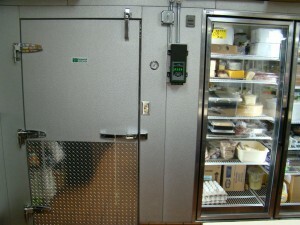 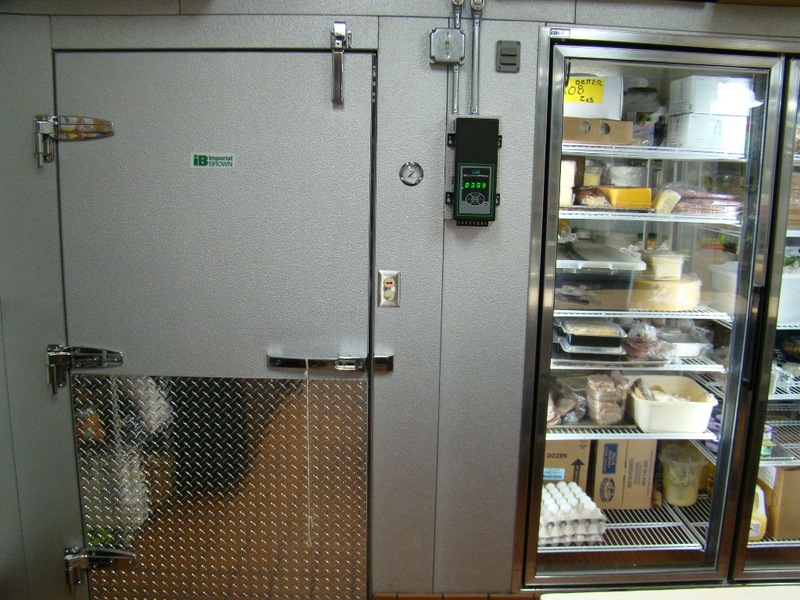 Walk-in Cooler Glass Door - McDonald Refrigeration, Inc. Walk-in Cooler Glass Door – McDonald Refrigeration, Inc. 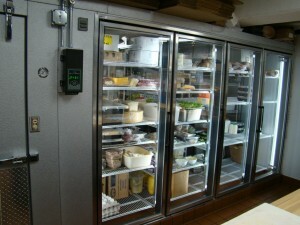 Custom built Walk-in Cooler glass door powered by a 2HP R404a Copeland scroll condensing unit. 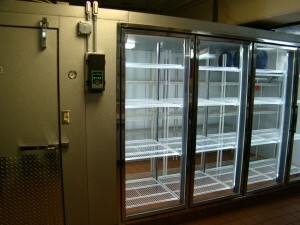 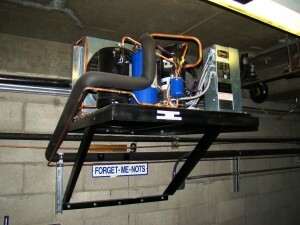 This system was able to replace 2 glass door self contained coolers and combine it with a walk-in cooler. 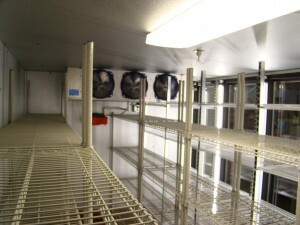 System is controlled by an energy efficient fan, defrost, door heater, and temperature control that provides energy savings 15-50% over mechanically controlled systems. 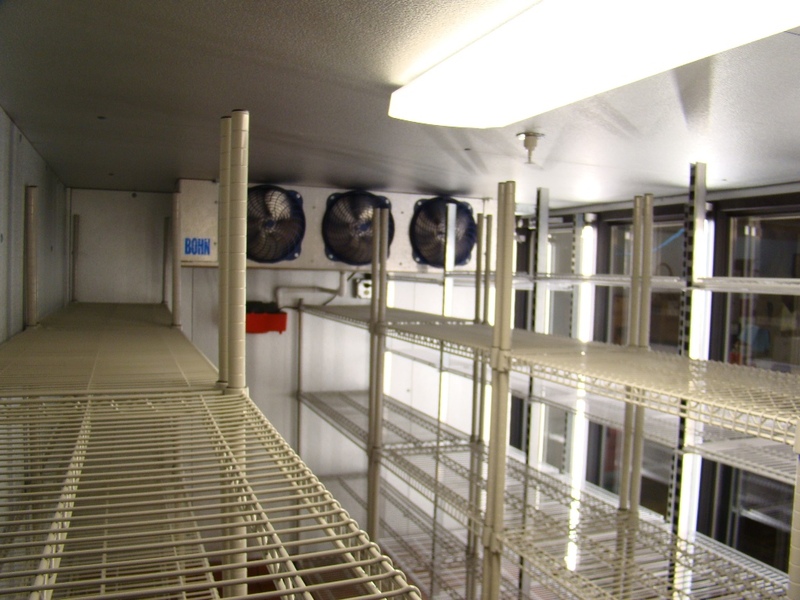 Maximizes energy efficiency with less compressor run time resulting from fewer and shorter defrosts, and re-humidification of conditioned space to increase product shelf life. 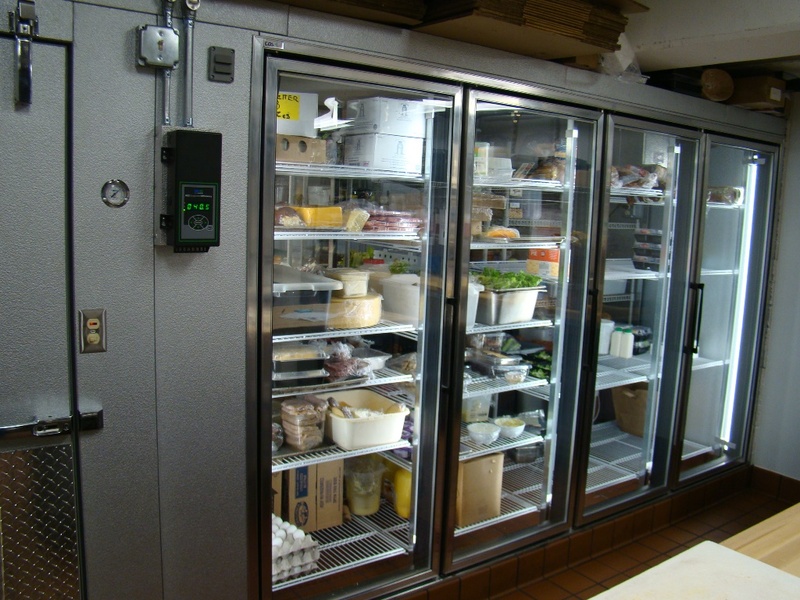 Has ability for data logging, remote access, and email alerts.